There is a problem with the way you wrote your piece on De Morgan’s Law. “Suppose my blog can only be read by people who have not studied maths or IT” and you say it multiple ways. “Now suppose my blog may be read only by people who haven’t studied both maths and IT.” and you say this multiple ways. All of which are the same set of people in both examples. I’m not sure if I get your point. In the second example I really meant to say people who studied nothing, maths OR IT, but not maths AND IT. So those are the people who haveN’T studied both maths and IT. 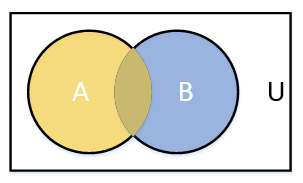 And that is also what the Venn diagram is showing (it’s not perfectly clear, I give you that). 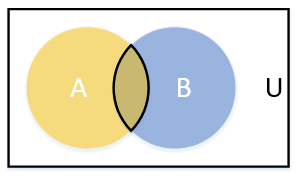 They are the scenario’s (A u B)c and (A n B)c, so not quite opposites. Let me know if that helps, or if you still have questions.